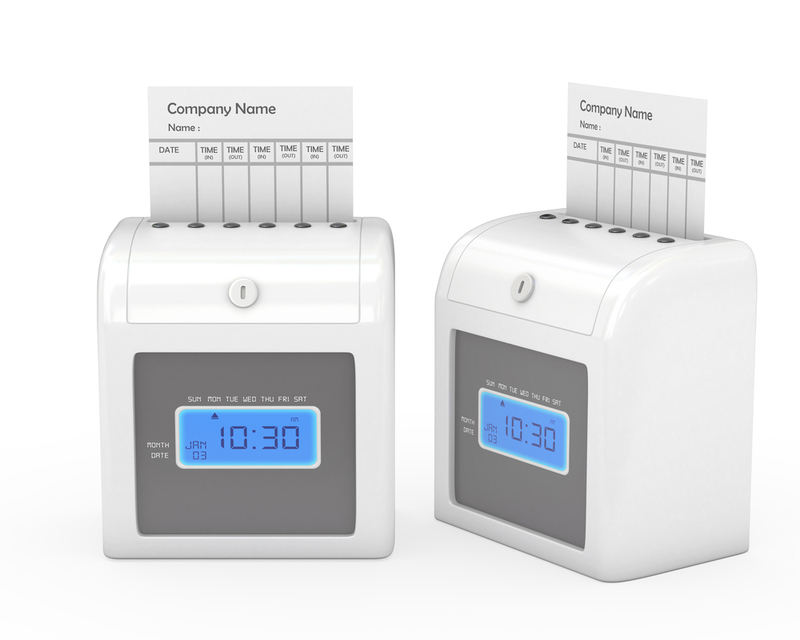 An appellate court decision that further clarifies the ability of California employers to round employee timecard entries has been published at the request of the California Chamber of Commerce and the U.S. Chamber of Commerce. By ordering its decision in Silva v. See’s Candy Shops, Inc. to be published, the 4th District Court of Appeal provides helpful guidance to employers on the factual circumstances that satisfy the standards for rounding of timecard entries. The December 9, 2016, decision in Silva v. See’s Candy affirms that California employers may round employee timecard entries to the nearest tenth of an hour (6 minutes). See’s Candy uses a timekeeping software system to keep track of its employees’ working hours. The software system required employees to “punch” in at the beginning and end of their shift. Timecard adjustments were made only in accordance with two See’s policies: 1) the nearest-tenth rounding policy; and 2) the grace period policy. Former employee Pamela Silva filed a class action lawsuit challenging these two policies. Under the nearest-tenth rounding policy, in and out punches were rounded up or down to the nearest tenth of an hour. Under the separate grace period policy, employees whose schedule had been programmed into the timekeeping system could voluntarily punch in up to 10 minutes before their scheduled start time and 10 minutes after their scheduled end time. Employees, under See’s rules, were not permitted to work during that time, but could use it for personal activities. In October 2012, the 4th District Court of Appeal issued an employer-friendly opinion by concluding that, under California law, employers may round employee timecard entries to the nearest tenth of an hour if the rounding policy is neutral, both as written and as applied. This ruling was particularly important because there was no statute or prior case law that explicitly authorized this common practice, which is permissible under federal law and followed by California’s labor agency. The 2012 ruling did not explain how to determine whether a rounding policy had a neutral impact over a period of time and did not require any specific method of calculation for determining whether rounding resulted in under-compensating employees. Also not covered were the facts needed to support a summary judgment (issued without a trial) for an employer defending itself in claims alleging unlawful rounding on timecards. The December 2016 ruling provides additional guidance regarding grace period policies, pointing favorably to See’s policy of prohibiting employees from working during the grace period and the “undisputed evidence” that employees engaged only in personal activities during the grace period and were neither working nor under the employer’s control during that time. CalChamber involvement in the case dates back to October 2011, when the CalChamber filed a letter urging the appeal court to review the trial court’s erroneous decision that the practice of rounding employee time entries to the nearest 6 minutes violated California law. In a letter submitted by John A. Taylor Jr. of Horvitz Levy LLP, the CalChamber joined the U.S. Chamber of Commerce in asking the appeal court to publish its December 2016 ruling, pointing out that employers who use rounding are frequently the targets of litigation. “Decisions addressing when California employers are entitled to summary judgment in such cases provide important benchmarks for the parties and for the courts charged with adjudicating rounding claims,” stated the joint letter asking that the decision be published. For California employers facing class action lawsuits involving rounding claims, the letter stated, “whether a rounding defense forecloses liability or merely creates a triable issue of fact to be resolved after class certification can literally be a multimillion-dollar question,” the letter said.